Legal repossession specialist Moore Blatch had launched a website to make it easier for landlords to deal with rogue tenants. PropertyReclaim.com is a simple to use website offering flat rates for a variety of legals services that range from sending a letter before claim to a full scale eviction or enforcement of money judgement. Prices start at £10 for a letter before claim. The firm’s legal team are on hand to deal with any queries if needed and it guarantees to process claims within two working days of instruction, though it says in the majority of cases it will be instructed on the same day. PropertyReclaim’s head Paul Walshe says that the easy to use site has been developed specifically because reclaiming a property from problem tenants can be a lengthy and problematic process. 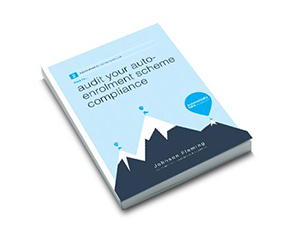 According to the Pensions Regulator’s annual commentary and analysis report released this month, 785 potential non-compliance cases were referred for investigation, with 23 auto-enrolment compliance notices issued. And they predict that the use of their statutory powers is only going to increase.